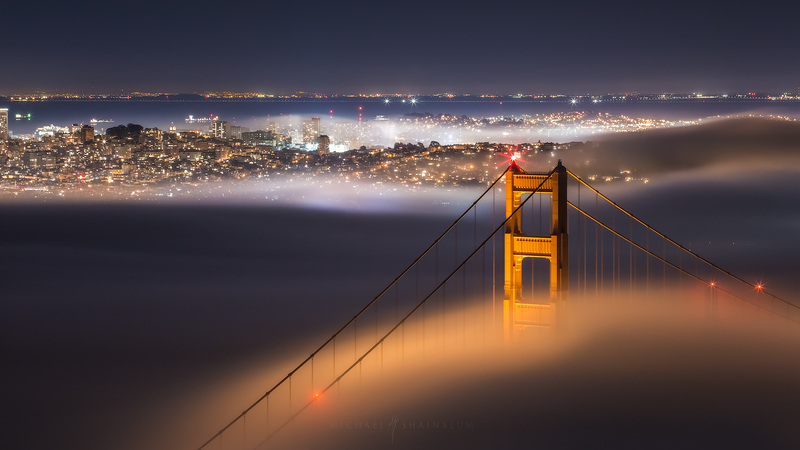 San Francisco is known for its foggy weather. 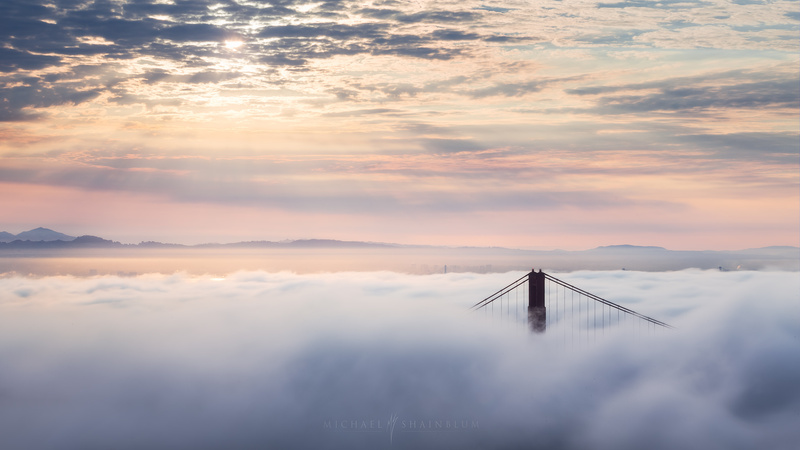 The Fog in the bay area feels like it has a mind of its own. 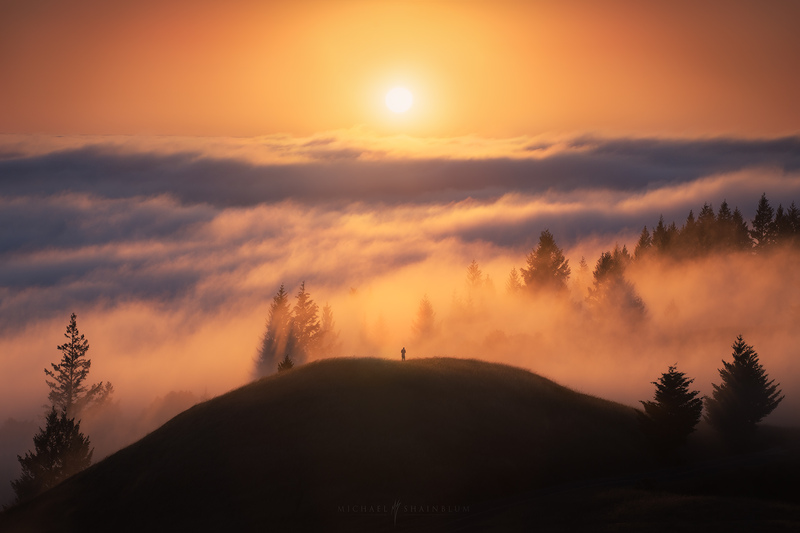 The fog can often times disturb a beautiful sunny day and cover the sky with darkness. There are mixed feelings about the fog, many residents finding it a huge inconvenience and depressing. Where as many residences embrace the fog and its erratic behavior. 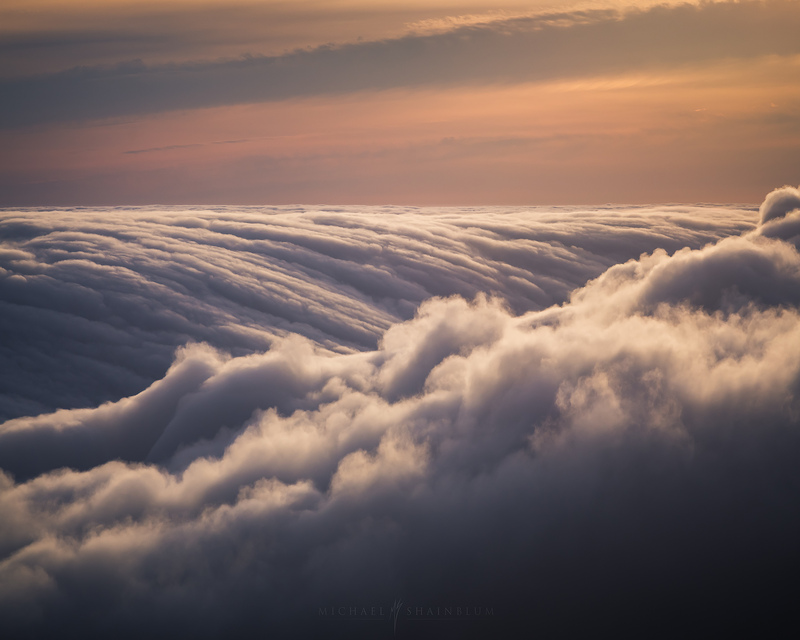 Regardless of how the fog is perceived from below. Its hard to ignore just how incredible it looks from above. 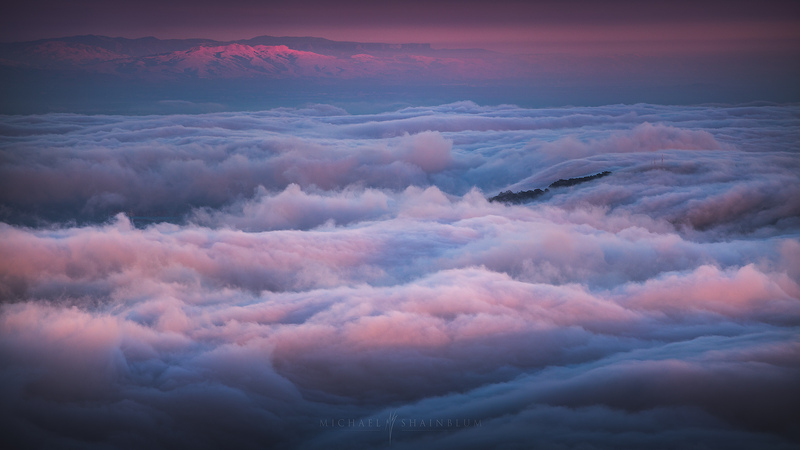 This collection is a tribute to the incredible fog and a showcase of its magnificent beauty. 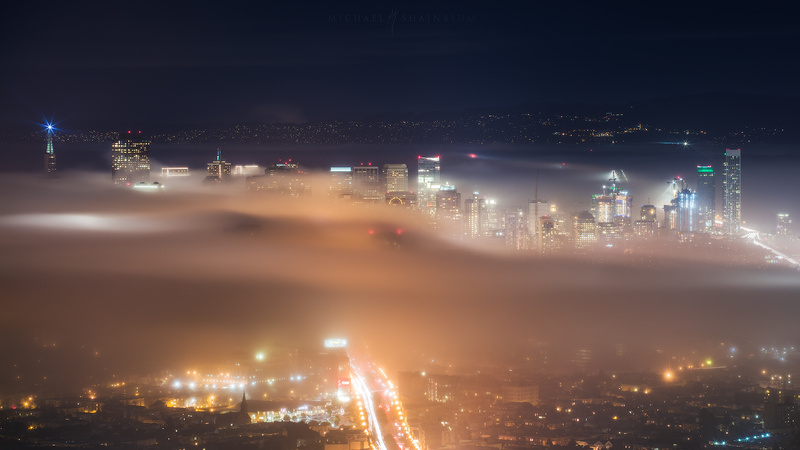 Fog has essentially become a living breathing entity in San Francisco. 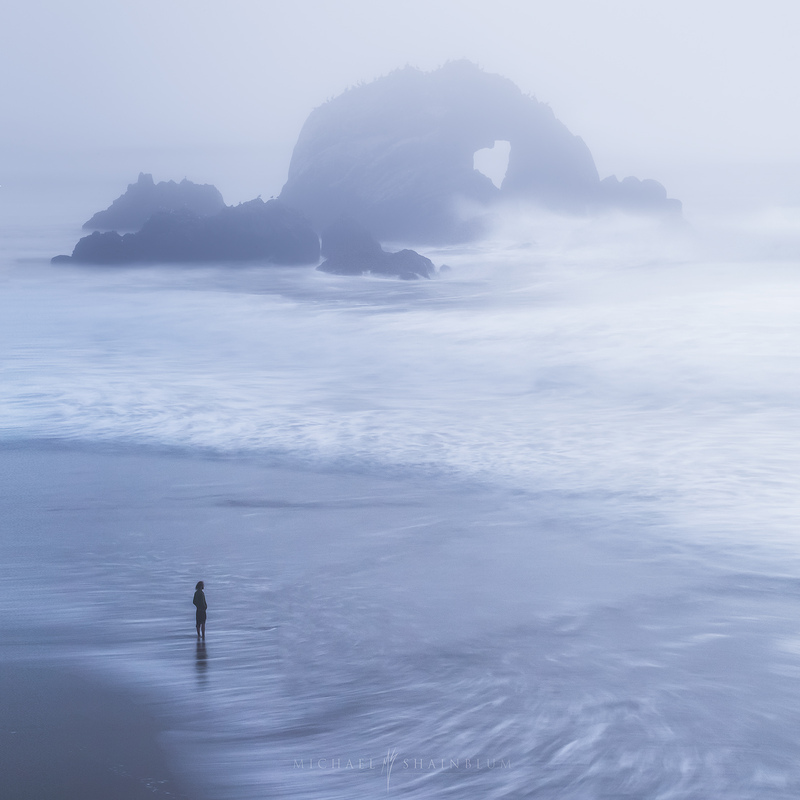 I love using a long exposure to simplify the motion of the fog. 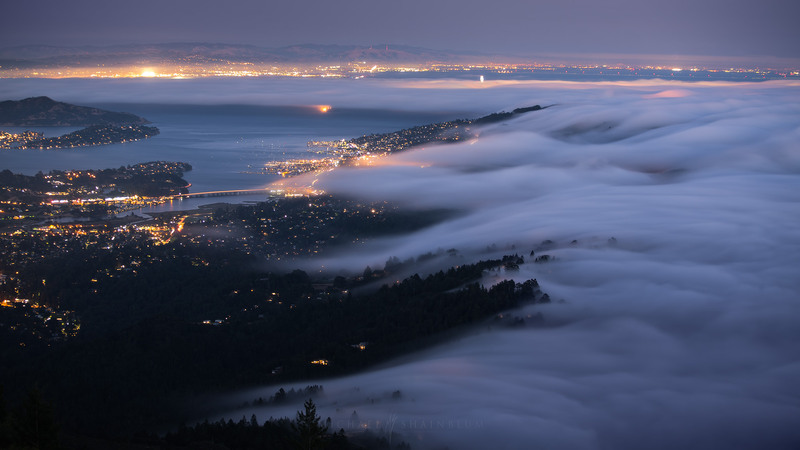 This perspective shows the fog rolling over the hills into the Bay. 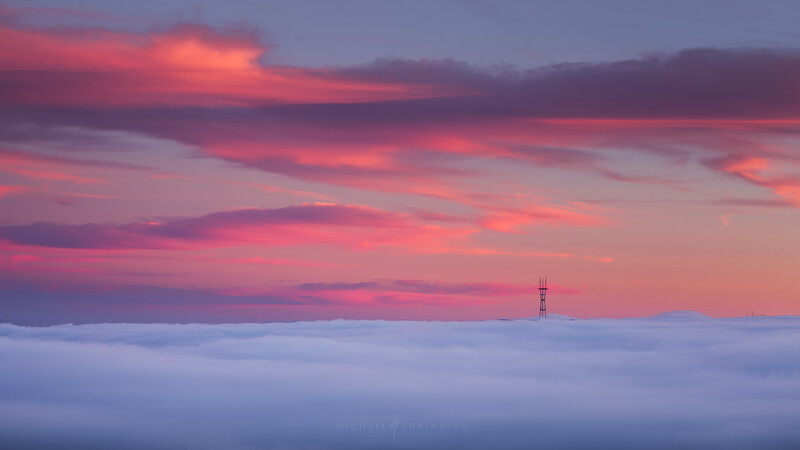 In the distance you can see the Sales Force tower standing above the fog. 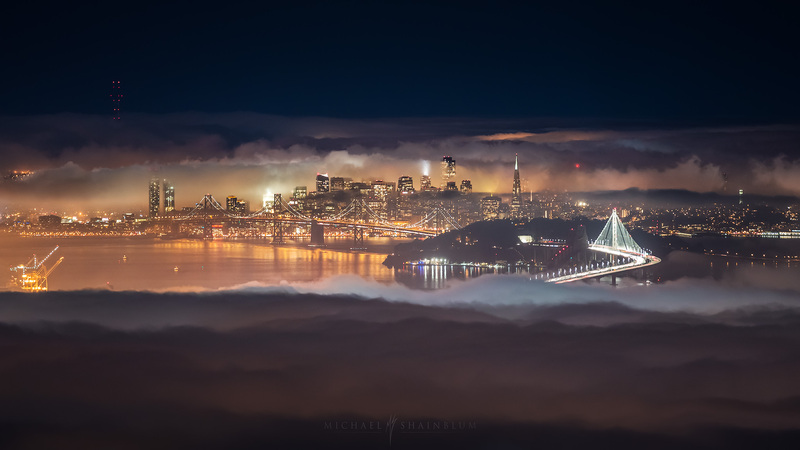 This gallery has been a constant project for the last 4-5 years, capturing San Francisco Timelapse sequences and still photos around the Bay Area. 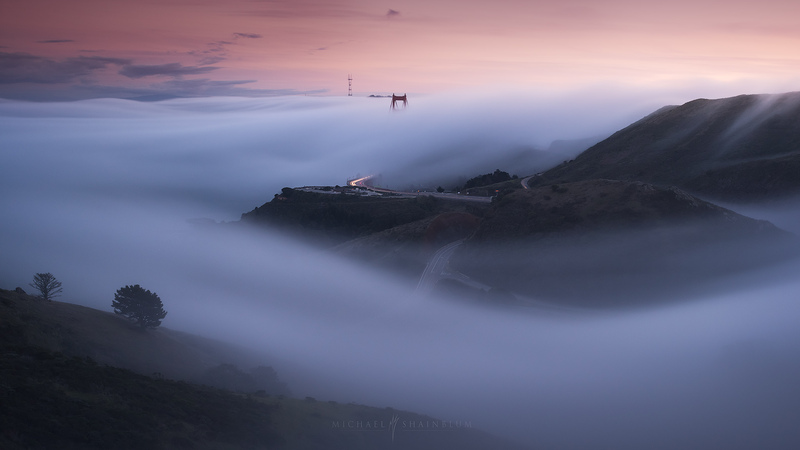 Here are two of my favorite fog timelapse sequences I have ever taken. 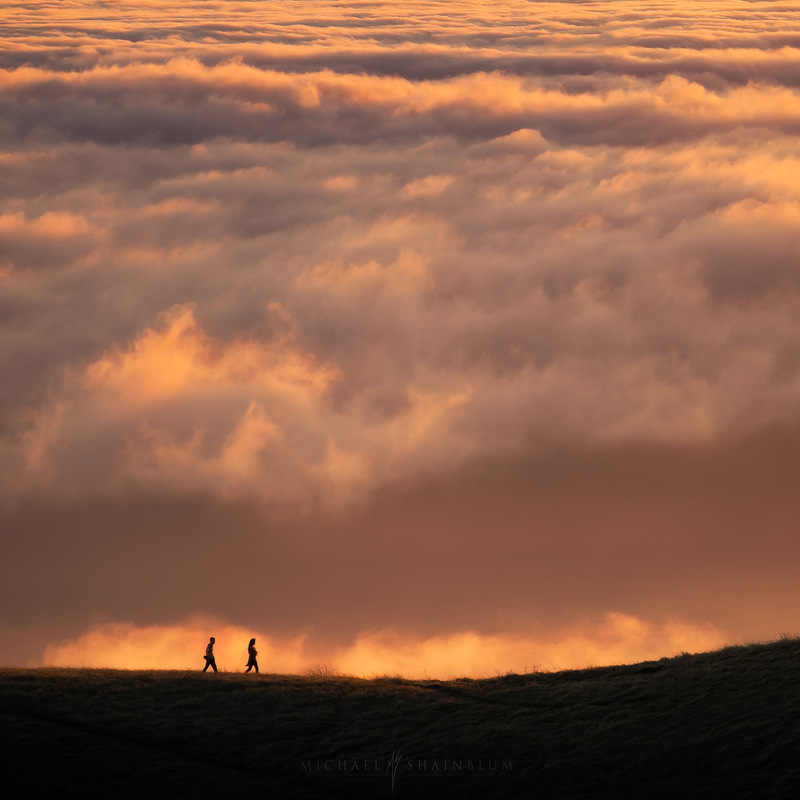 They were both taken on the top of Mount Tamalpais during a beautiful flow of fog rushing through the Bay Area. 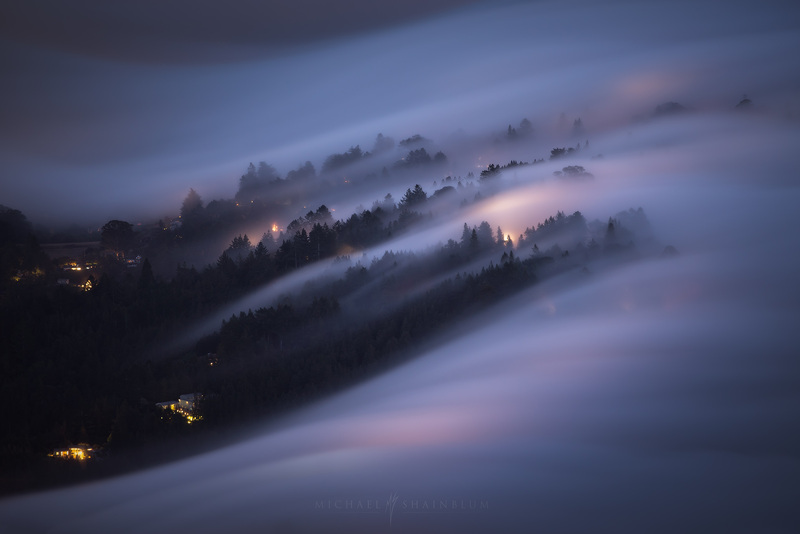 The motion as the fog creeps over the hills is breathtaking. 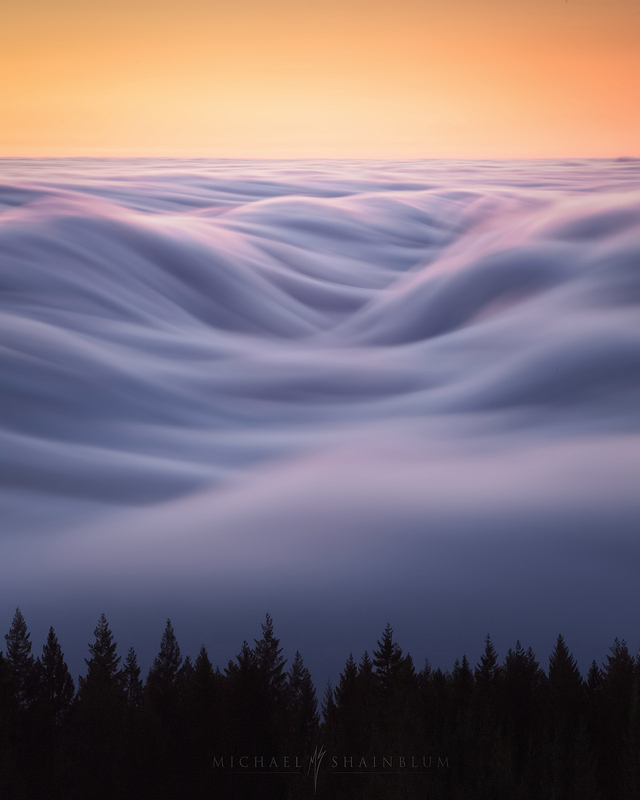 These two images show the magnificent cloud waves that get created when the fog rolls over the Northern California hills. 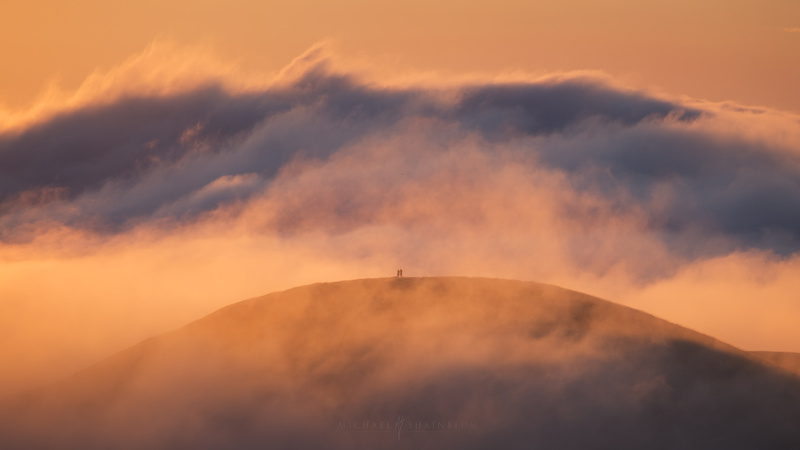 A figure stands on a distant hill, above a sea of fog. The warm glow from sunset baths the fog with color and filters through the treeline. 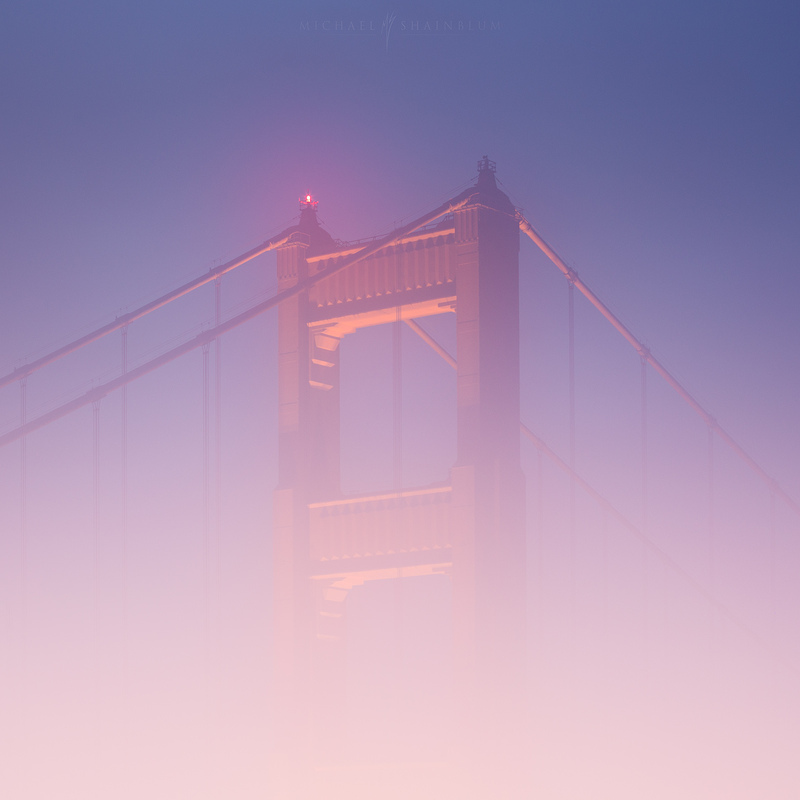 Two of my favorite San Francisco photos I have taken in the fog. The first image titled “Together” and the 2nd titled “Hope”. 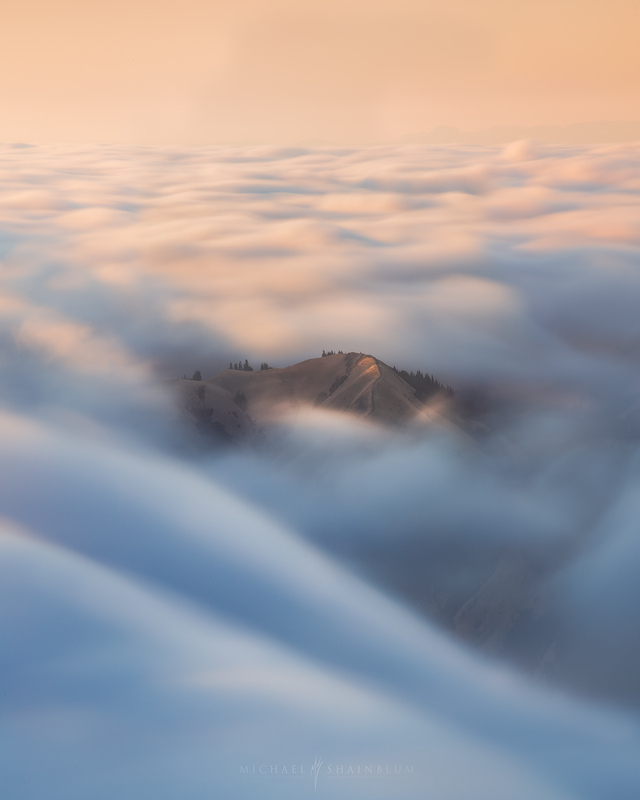 Here is a 15 minute timelapse sequence above the fog on top of Mount Tamalpais. It is absolutely amazing to watch the patterns of the flow. 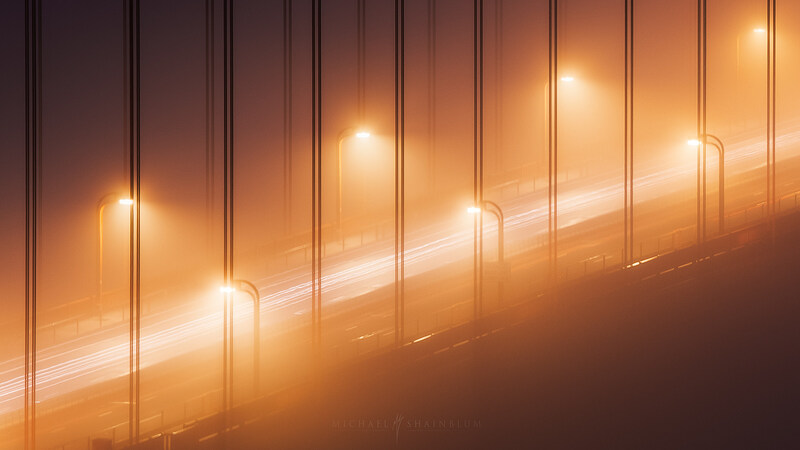 One of the most iconic places to capture foggy flows is around the Golden Gate Bridge. 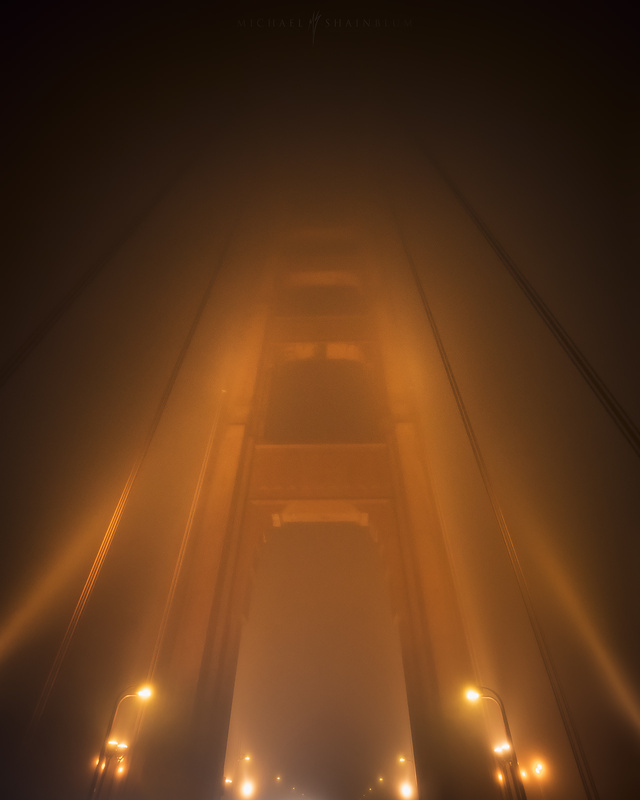 Here is a more intimate look at the fog interacting with the bridge in the night. 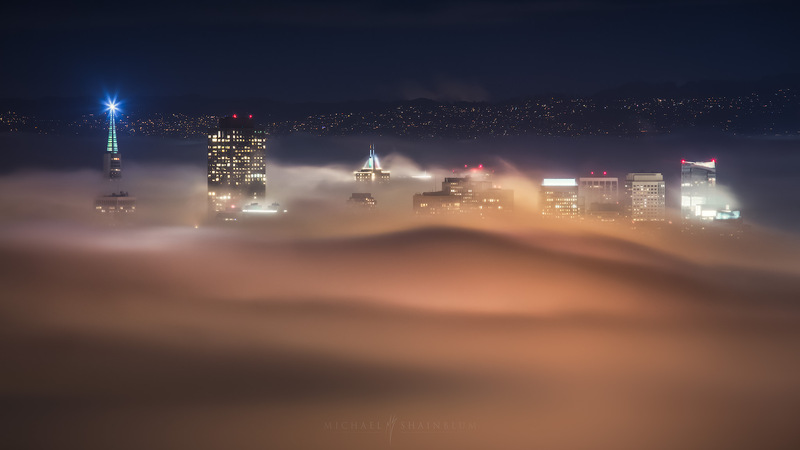 The San Francisco fog is incredible from above, but it can be very beautiful inside the foggy flows. 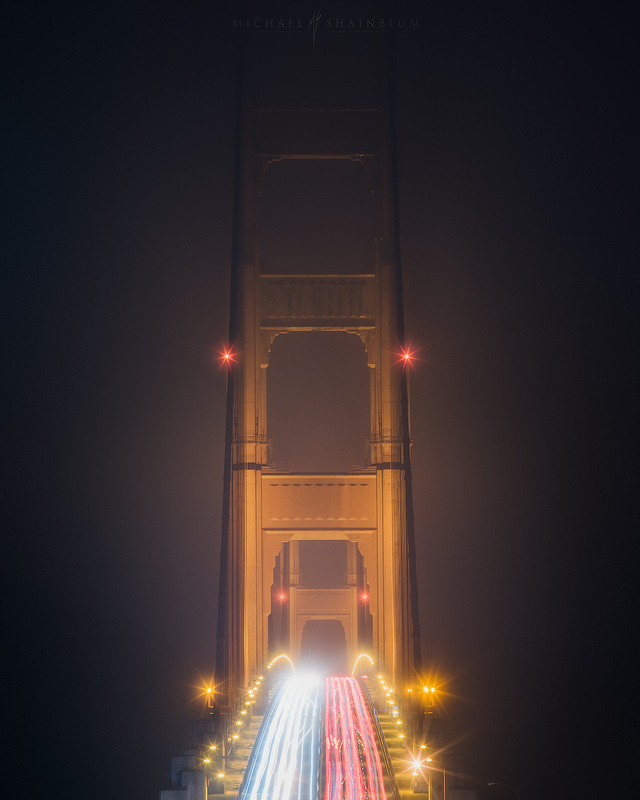 I love taking a look at different perspectives of the Golden Gate Bridge. 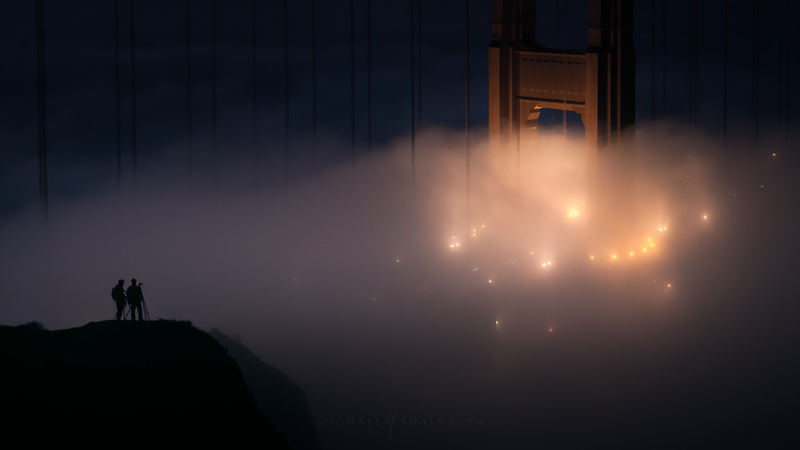 Another morning capturing Golden Gate Bridge fog during dawn, one of my favorite San Francisco photos. 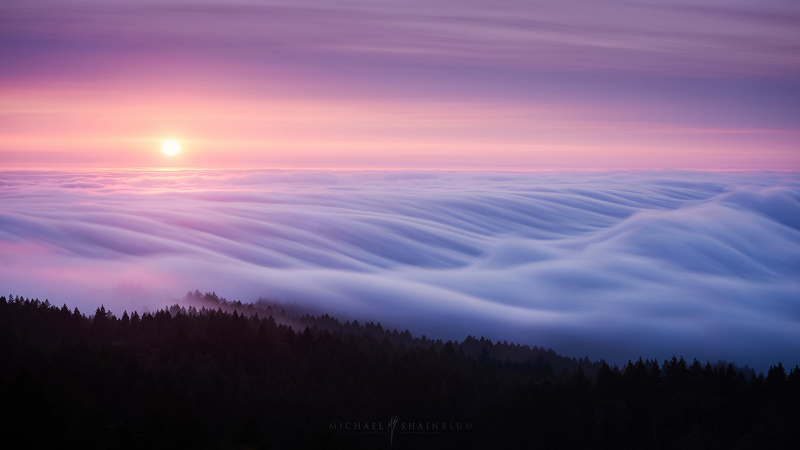 This is actually a still photograph taken from another fog timelapse, which you can watch below. 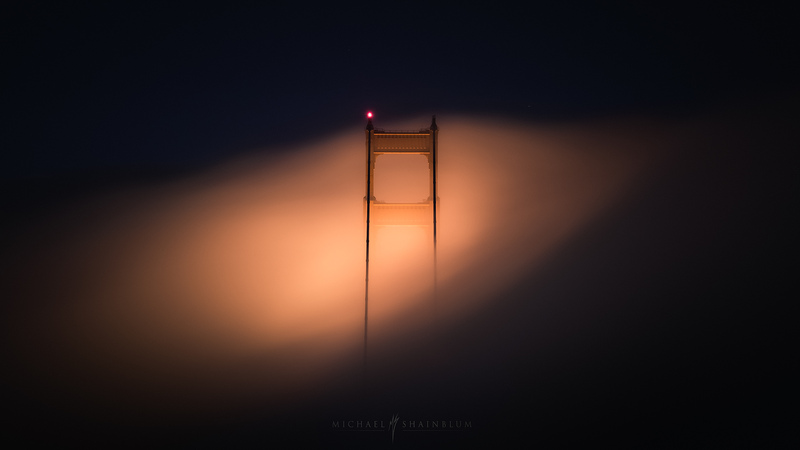 The classic San Francisco timelapse of the Golden Gate Bridge in fog. Still to this day one of my favorite scenes to witness. 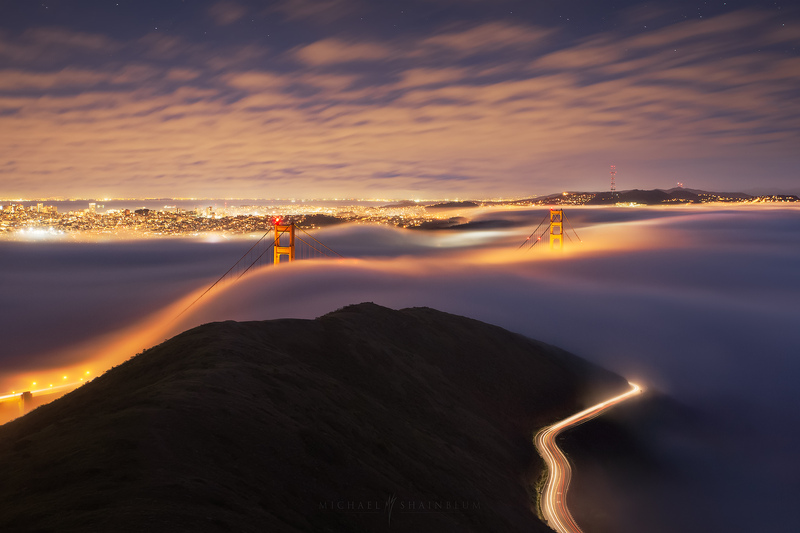 Two San Francisco photographers enjoying an incredible view of Golden Gate Bridge before sunrise. 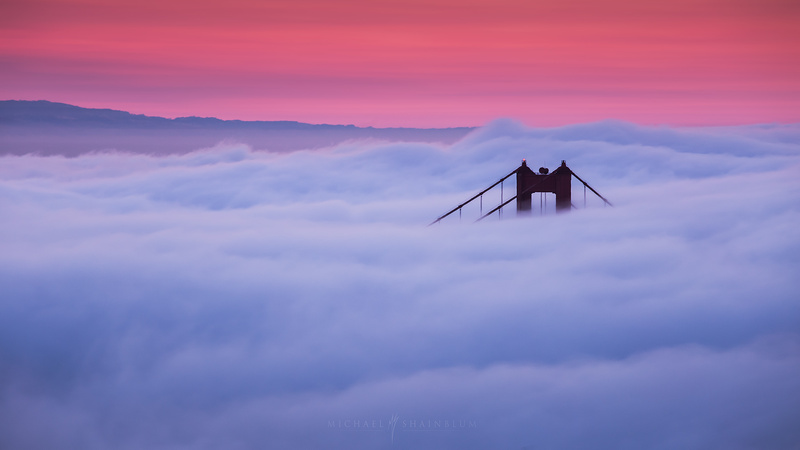 “Cotton Candy Skies” San Francisco fog timelapse, still photograph. 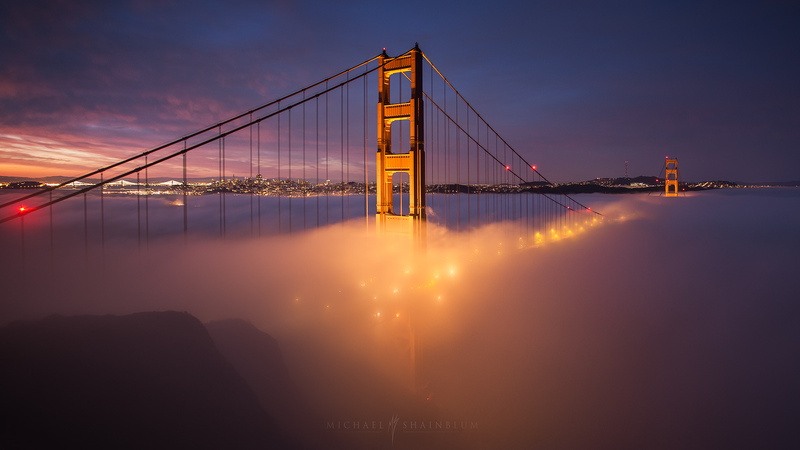 If you enjoyed this collection of San Francisco fog timelapse sequences and photography. 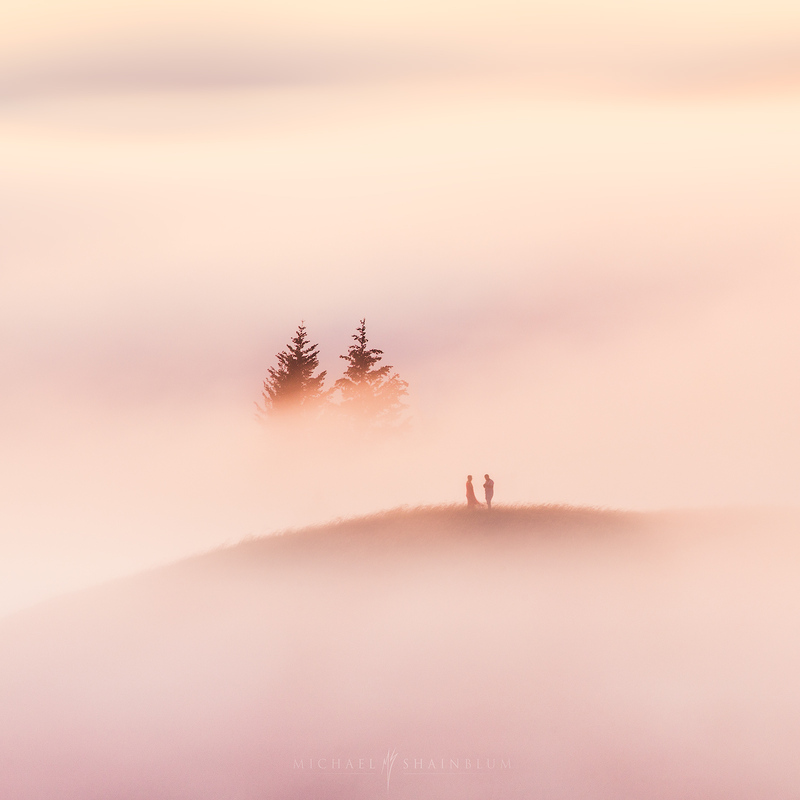 The project will constantly grow and change in the future, with new adventures exploring the fog. You may also enjoy my collection of Aerial San Francisco photos Click Here. I also have select prints from this collection for sale Click Here. Absolutely stunning work Michael. That ethereal atmosphere is so dreamy! Breathtakingly beautiful! What a wonderful world and a wonderful work! Breathtakingly Beautiful! What a wonderful work! Truly breathtaking, absolutely beautiful! Good Health to your hand, heart, mind and soul. Absolutely gorgeous! I am so inspired! The 2 trees, 2 people image sticks with me, and I am someone who does not like to include people in photos. This is absolutely stunning. From one artist to another, I believe your work is inspiring. It is definitely giving me ideas for my Requiem. I hope wish you the best success! 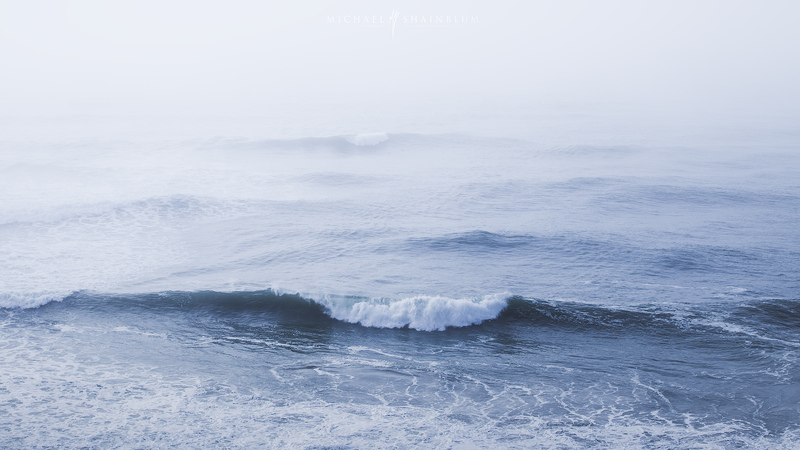 Such beautiful and serene photography Michael. Bringing beauty to nature’s wonders and the cityscape. 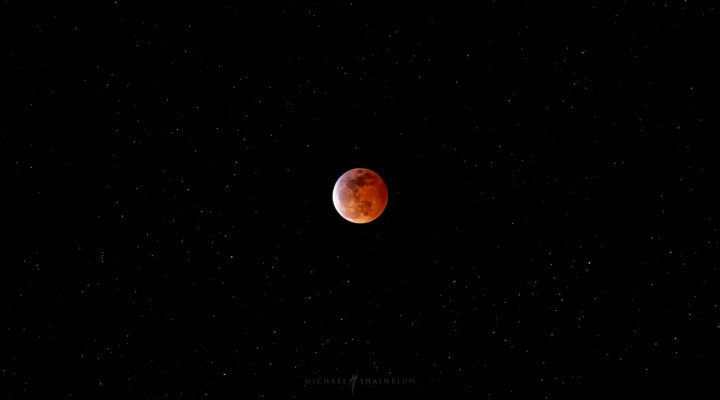 Hope to see more of your incredible images in the future. John from Scotland. Mind blowing work….Peace reflects in your photography. These are breathtaking. I grew up in Marin and have often driven these roads, but your photos really puts things in perspective of how beautiful it really is. Are the shots on Mt. Tam taken off the road or did you have to hike to certain spots. No need to give away secrets, but want to know what your approach was for these. Thanks! 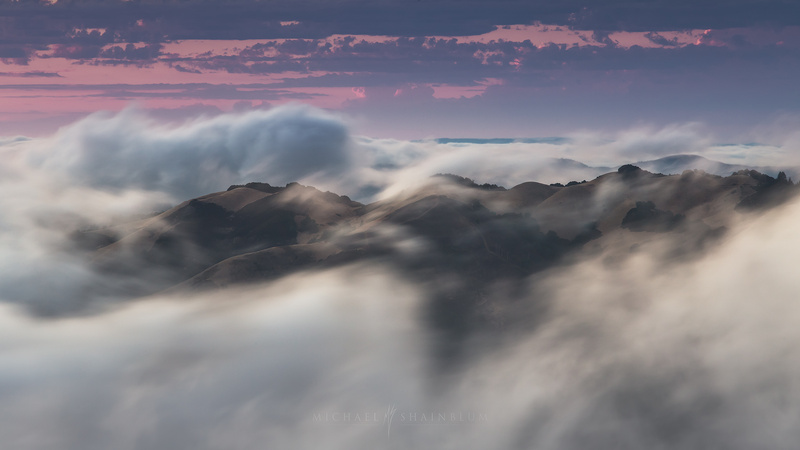 I really admire your work Michael, it’s incredible how you bring out the beauty of the landscapes to the maximum. 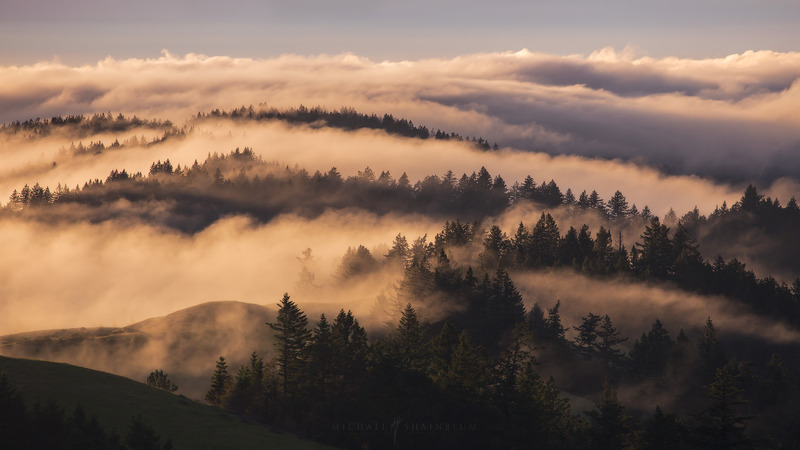 I would like to know where you got the background music from the timelapse on Mount Tamalpais (the view of San Francisco), it’s extremely relaxing. Keep it up, you’re a real artist! I think you’ve captured what I’ve loved about Marin since I got here fifty years ago. One suggestion is a shot from the top of the Mountain Theatre across to the avenues.